Raul Garza is the President and Chief Executive Officer of Aunt Martha’s Health & Wellness, leading a $75 million system of integrated health care, community wellness, and child welfare services with 40 locations in 27 communities across 13 Illinois counties. 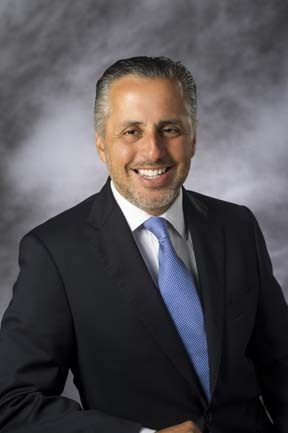 Mr. Garza became Aunt Martha’s CEO in 2009, and was named the organization’s President and CEO in 2013. Under his leadership, Aunt Martha’s has invested more than $28 million to develop its integrated care model incorporating primary care, mental health, and substance abuse treatment. The agency has embraced the concepts of value-based care, entered and thrived under shared-risk, shared-savings arrangements, established collaborations to serve special populations, expanded its partnerships with hospitals, and emerged as a recognized leader in integration and care coordination. “Integration is at the heart of everything we do. It drives our staff to engage with patients, with partners, and one another. As a result, we see our patients’ health improve while the cost of care is driven down. In 2017, Aunt Martha’s served more than 60,000 children and adults from over 550 communities, reaching some of Illinois’ most vulnerable communities. The organization’s patients are 38% more likely to live at or below poverty level, and nine percent more likely to be uninsured than patients served by other Illinois health centers. Leveraging its integrated model against high levels of patient risk, Aunt Martha’s outperforms its peers in 11 of 12 (92%) of its federal quality of care measures. At his core, Mr. Garza is a passionate advocate for underserved and vulnerable individuals and communities. In a rapidly changing health care environment, and an ongoing period of tumult for Illinois’ human service providers, he continues to be an outspoken proponent of value-based care and cross-sector collaboration. Mr. Garza joined Aunt Martha’s in 1993 after serving 10 years in the United States Air Force as an Executive and Budget Officer. He worked as the organization’s Chief Financial Officer from 1993 to 2002 when he transitioned into the role of Chief Operations Officer. His educational background includes a Master’s of Science degree in Management Communications from Northwestern University; an MBA from the University of Chicago’s Booth Graduate School of Business; and a Master’s of Science degree in Public Service from DePaul University. That work has been bolstered by his completion of the Managing Healthcare Delivery (2011), Emerging Issues in Healthcare (2013) and Value Measurement for Health Care (2014, 2017) programs at Harvard University Business School. 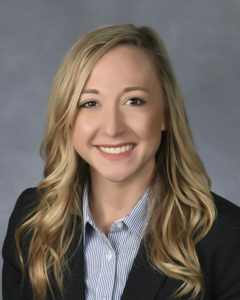 Allison Van Gerpen is Administrative Assistant to the President and CEO, Raul Garza. Before joining Aunt Martha’s in 2016, she worked within the Presence Hospital System specializing in Children’s Behavioral Health. Allison is a graduate of Iowa State University where she earned her Bachelors of Science Degree in Child, Adult, and Family Services. Allison would be happy to assist with any inquires.